Oh Fall, Oh Autumn, the very antithesis of Spring and its blooming hope, You are what stands between us and the cold, grey gloom of Winter. Even though I choose to interpret Your reds, Your oranges, Your yellows the firey protest of all frigidity to come, sitting on a park bench watching each leaf drop individually lends itself to a symphony of contemplative sadness. Summer is over. The year almost over. And just as you think you might be able to stop time, to catch each leaf and somehow surgically reattach it to tree, you notice the bed of leaves already on the ground. It is the impossible task. Time is as unstoppable as water. 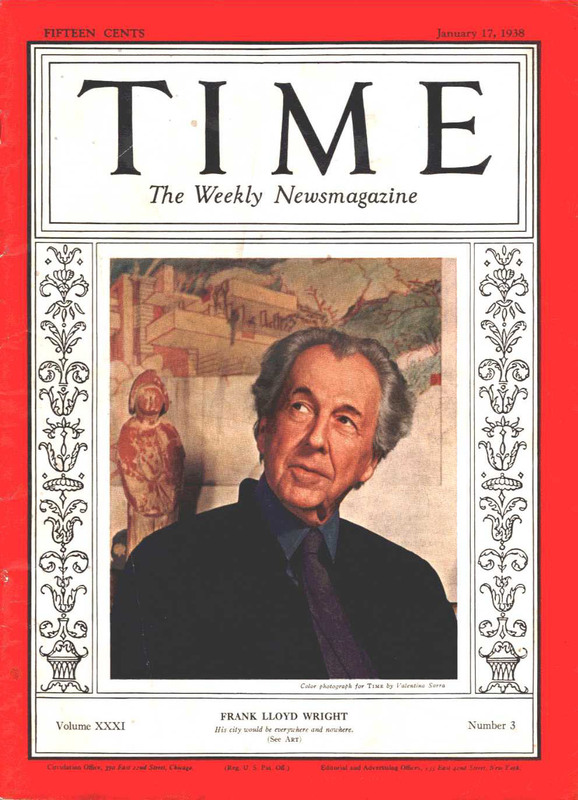 Perhaps no American architect understood our relationship with nature than Frank Lloyd Wright. The house, Fallingwater, integrated into a waterfall in Bear Run, Pennsylvania is perhaps his most famous and masterful design. Designed and built for the Kaufmann family, the successful and wealthy owners of the Pittsburgh department store “Kaufmann’s,” Fallingwater was used as a weekend house from 1939 until 1963. In 1964 the Kaufmanns donated it to the Western Pennsylvania Conservancy and it opened as a museum. Fallingwater’s outside, as you can see from my Autumnal photograph, slides seamlessly into the setting, its aesthetics so pleasing; the interior just as organic. Local boulders form the fireplace and the natural formation of the ledge rock protrudes through the floor of the living room. In one bedroom, an extended family of ladybugs have politely settled in one corner of the room, closest to the window, the newest occupants of a house which seems to have forgotten that outside is inside and inside is outside and anyway it was done all on purpose. It feels polished, minimalist, peaceful. 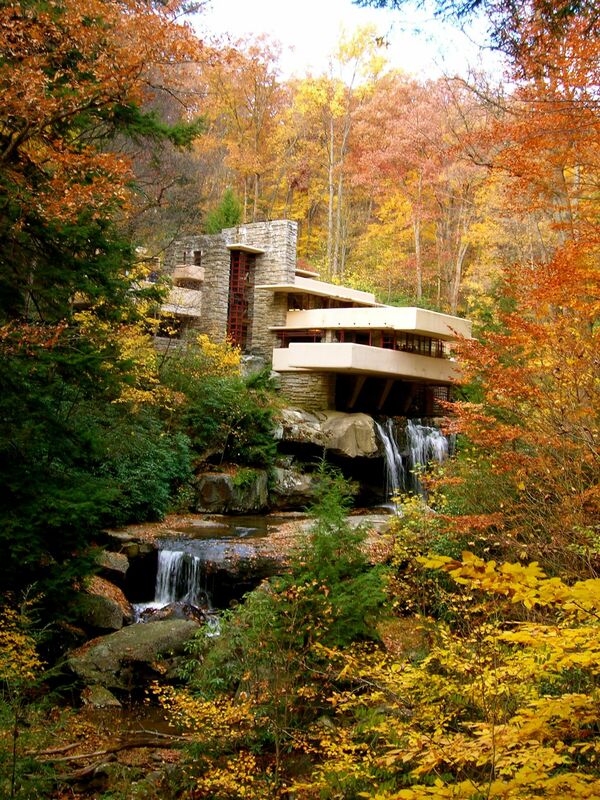 I want to go to Fallingwater soooo bad! Your picture is so beautiful, Amanda. I watch each one fall sadly and I think “noo! noo! don’t give up yet!” It’s like watching the days of my LIFE go by. an impressive architect, and a wonderful photo…so vivid.